The Oak Hills Parent Teacher Organization is an active link between students, teachers and parents. We are a voice and a resource for parents, an advocate for children and support for our school staff. We help provide enrichment activities and events throughout the school year that benefit our students and their families. Monthly meetings are held in the school library. Please see our Calendar for meeting times. We offer alternate evening and afternoon meeting times to try to accommodate differing schedules. Everyone is welcome to attend! To promote child development in the home, school, and community. To bring into closer relation the home and school so that parents and teachers may cooperate in the education of each child. To develop between educators and the general public such united efforts as will secure for every child the highest advantages in physical, mental, and social education. For the safety of our children, all Volunteers must complete a background check in order to volunteer at school. Simply go to Volunteer Check and submit the form. The check takes a couple of weeks to be completed and you will be issued a volunteer badge when it is successful. Then you can then volunteer to help during school and evening events. Thank you, in advance, for donating your time to our children! PTO stands for Parent Teacher Organization. Our PTO is a way to formally organize our body of parents to focus on supporting our Oak Hills students . We work in partnership with the Staff and Administration to support the key priorities of the Oak Hills school community. As a PTO member, there are a number of ways for you to support the school and get involved through your time and/or financial contributions. YOUR TIME: There are volunteer opportunities galore waiting for you! Volunteering opportunities are available in many areas, from working in the classrooms, clerical support for the staff and administration as well as behind the scenes admin type tasks that could potentially be done on or offsite. 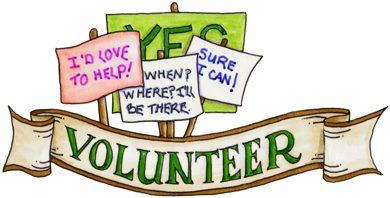 Through the many PTO and school events, there are numerous opportunities to volunteer for events themselves as well as provide leadership to these programs by joining committees, becoming a Committee Chair or even a position on the PTO Board (see Volunteer Opportunities). YOUR TALENT: If you have a special skill, talent or expertise that would enhance our students learning, you can work with the Staff to see how that could be presented and/or fit into the curriculum. YOUR TREASURE: You may not be able to give your time on-site. If you have the opportunity to support the students and programs through financial contributions, that can be another very important way to support the school. There are many ways to contribute financially to the PTO such as making a Cash/Check Donation to the PTO, your employer’s Matching Funds programs, Fundraising Programs, as well as many Free and Easy ways to give back to the school (see Fundraiser Programs). WHAT ARE THE KEY PRIORITIES OF THE PTO? We have a number of priorities, events and program goals each year. FUNDRAISING: Fundraising is a large element of what the PTO does and requires a great deal of funding to continue to provide the enrichment opportunities for our students. To financially support the many programs, with your help, the PTO will need to raise money each year. You will see a number of fundraising opportunities available throughout the year (see Fundraiser Programs). COMMUNITY EVENTS: We have a number of community events designed to bring us together as a community, which allows us the opportunity to stay connected to our children by being part of their world at school. Keep a look out for information throughout the year for events such as Jog-a-Thon, Bingo Night and the Science Fair, to name a few (see PTO/Volunteer Programs). Mark your calendars when you see these events announced and come join in the fun! Don’t forget, it takes many, many volunteers to make these events a success (see Volunteer Opportunities). STUDENT ENRICHMENT: Our PTO is proud to supplement our student curriculum and work of the staff through our very important Student Enrichment Programs such as Art Literacy, Author Visits, Assemblies, and much more (see PTO Supported Programs). CLASSROOM SUPPORT: Your volunteer time and commitment, both in and out of the classroom, greatly support our Staff and learning environments for our students. Our PTO organizes all of the volunteer activities at the school by recruiting volunteers and scheduling volunteers into classrooms or events (see PTO/Volunteer Programs). Additionally, our PTO plans many Staff Appreciation events throughout the year designed to appreciate our Staff for all of their hard work with our students.